The Top Note: This is the first impression. 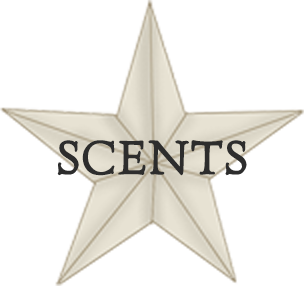 It is the fragrance the customers notice when they unscrew the lid of our candles. The Middle Note: This is the heart and soul of the fragrance. It's most prominent after the top-note recedes. The middle note is what you experience while the candle is burning. T he Base Note: This is the note with tenacity, the lingering scent in our candles. This is what you smell even after the candle is extinguished. When making our container candles and wax melts, we use our special top secret paraffin blend of wax which has a very creamy and soft consistency. I have perfected this blend over the past 18 years and believe it is the very best. Our creamy blend of wax has many advantages, one being the amount of fragrance we can add to our wax. Our wax has a very high fragrance load which makes for extremely highly scented candles and melts. Another great advantage of this wax is the low melt point which allows for a longer burning candle which will not leave a ring of un-melted wax around the inside of the container. With the soft wax, the scent molecules bind to the wax better and are easily released during the burning process making a very fragrant candle. * We do not use any soy in the making of our products. Will my candle lose it's fragrance if the jar is left uncovered? No. This is a common question. Remember, a candle is a solid not a liquid. Most liquids will lose their fragrance if left uncovered. Examples of this would include perfumes and colognes. At CBV we thoroughly mix our fragrances within the wax and continue to agitate throughout the filling process. This assures that the fragrances is captured within the very structure of the candle and releases the powerful fragrance upon the wax liquefying through melting. There are two terms when talking about "scent throw". The first is "cold throw", this is how the candle smells before it is lit, the first whiff you get of the candle when you open the lid. The second term is "hot throw", this means how the candle smells when it is lit, the radius of a candle's scent, ie the number of feet you can be away from a candle and still be able to smell it. At Candles By Victoria Candles, our throw is profound, and results from the liquefication of at least one-half-inch of wax, (better known as a "melt pool") from edge to edge that releases as many scent molecules as possible into the air of the a room in which the candle is being burned. For all of our candles, that means that if you light up an candle in the kitchen, you will more then likely be able to smell that candle when you walk in the front door. Candles By Victoria uses FDA approved Zinc Core Wicks. Safety is a top priority at the National Candle Association, which is why no member of the NCA (which accounts for 90 percent of all candles made in the U.S.) uses lead wicks. NCA members voluntarily agreed more than 25 years ago not to use lead wicks, and in 2000 asked all U.S. candle manufacturers to sign a formal pledge not to use lead wicks. Some imported candles reportedly have been found to contain lead wicks. 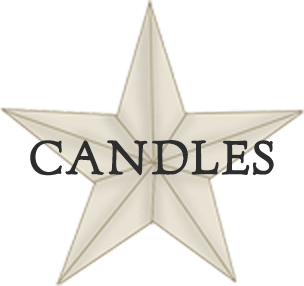 Candles By Victoria strongly supports the Consumer Product Safety Commission's proposal to ban lead candlewicks from the U.S. marketplace. These are the most commonly used wick type for many types of candles. The zinc wire core in the wick helps the wick to remain standing straight while the candle is being poured and when the candle is lit. Zinc core wicks are widely used since the use of lead core wicks were discontinued long ago. As you scroll through the website you will notice a different color before the name of each fragrance. These colored hearts represent the color that this fragrance will come in or as close to the color as we can depict. Please note that all candles are hand poured and slight variations in color will occur. We do not take color requests on our candles or melts unless it is one of our Create A Scent (CAS) products. Please keep in mind that all products are hand poured to order, no two candles will be exactly alike, this is part of the hand crafted feel of our candles, slight variations in colors may vary. *All finished products on our website are measured in fluid ounces.